We’ve been following with great interest, the Facebook-led initiative to improve access to Internet for the developing world. Alongside Qualcomm, Opera, Samsung, and others, Team Zuckerberg is leading the charge on Internet.org, a “global partnership between technology leaders, nonprofits, local communities and experts who are working together to bring the Internet to the two-thirds of the world’s population that doesn’t have it.” That’s music to our ears here at Connectify. Our team is passionate about creating apps that get users and their devices online with fast and reliable Internet access no matter where they are. When we launched the first beta of Connectify Hotspot in 2009, we had no idea that our powerful little software router would become a lifeline for so many users around the world. Early on, we were thrilled to hear from business travelers and tech enthusiasts who wrote to tell us that Connectify Hotspot had become an indispensable part of their day-to-day lives. As time went on, we began receiving more and more emails from folks living and working in developing countries, where the sheer reliance on our products has totally transformed how we think and operate here at Connectify. I hear from Hotspot users like this more often than I can count these days. But, even our new Speedify technology is starting to find its way to those users who need it most. 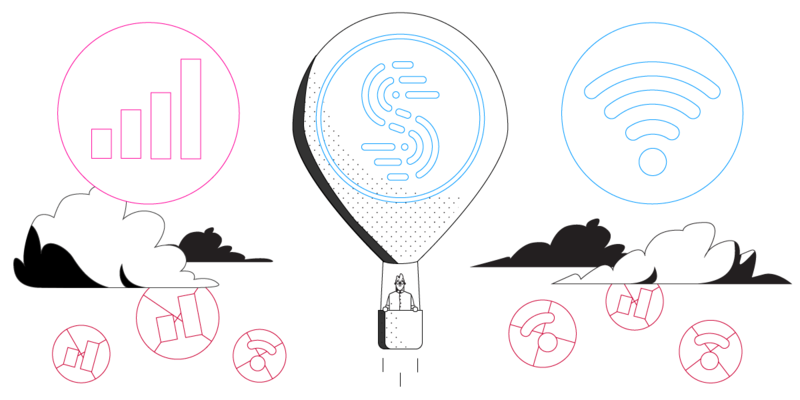 Speedify is an easy-to-use channel bonding platform that lets users combine multiple Wi-Fi, 3G/4G, DSL, and any other available networks to create one faster and more reliable Internet connection. While Speedify may not offer a great value proposition for those of you that are reading this post across a gigabit Google Fiber connection in Kansas City, we believe that the Speedify technology can change the lives of the other 5 billion people around the world that have limited access to high-speed Internet. Since launching Speedify last year, users from all over the world have reached out to tell us that being able to easily aggregate two or more slow Internet connections into one faster and more stable Internet link has had a transformative impact on their lives. It’s worth noting that this feedback isn’t just coming from the furthest reaches of the developing world. Folks from rural communities right here in the US are struggling to stay connected, too. In a recent survey, one Speedify user wrote that he only has access to, “spotty satellite Internet service at home, and equally spotty cell phone data service,” but by being able to combine the two with Speedify, he’s now able to enjoy more consistent Internet access. Ultimately, even with a rapidly growing user-base in over 230 countries, our reach here at Connectify is a drop-in-the-bucket compared to our compatriots over at Facebook. And, while the Internet.org whitepaper outlines essential ideas related to efficiency of data delivery and network performance that will undeniably impact whether the organization can meet its goals, we believe that the Connectify technology is playing an important role in getting those underserved parts of the world fully connected, too. A village with a few 3G cards and Speedify doesn’t have to wait years for regular broadband access to arrive. Each laptop running Connectify Hotspot means Internet access for the numerous computers and mobile devices around it. All of our solutions are software-only, and that makes them much easier to deploy. At Connectify, we are excited about Internet.org and its long-term goals. For our part, we have developed, and will continue developing software that makes a difference in the mission to provide fast, cost-effective, and reliable connectivity to everyone. Alex Gizis is CEO of Connectify. Follow him on Twitter @alexgizis and visit www.connectify.me.